Planning a wedding is an exciting process that can also be very stressful. You have the most enjoyable times ahead: planning and preparing your dream wedding. You have the most amazing job in the world: having to pick a beautiful spot for your wedding ceremony, select your dream wedding dress and hire the best experts that are a must for a perfect wedding these days. How do you remember all the important details, buy everything you need and order the services that are needed? You have to keep track of a huge number of details! It is simply impossible to keep all of these things in your head without it exploding. If you don’t’ have a clear map to the world of wedding services, it is easy to get lost. 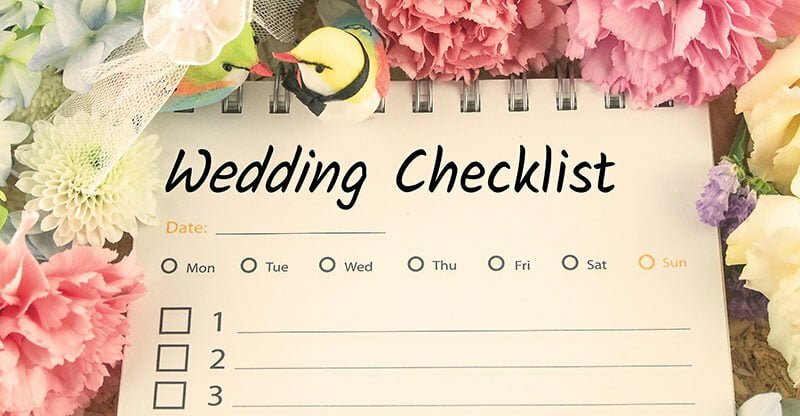 Luckily, we’ve got a comprehensive wedding checklist for you that will help you keep track of every single detail. Below you will find a step-by-step guide to wedding planning that starts with the day you decide to get married. Thanks to this checklist, you won’t miss anything important and ensure that your big day goes smooth and glitch-free. Planning a wedding doesn’t have to be stressful. You will see that it can be easy and fun, and all your efforts will be rewarded with the amazing memories of the big day you will cherish for a lifetime. It is in your hands to make your wedding day unforgettable, beautiful and romantic. Your guests are sure to feel lucky they were invited to the best party in the world. Let’s not waste any time and begin. ✔ First of all, you need to tell your relatives and close friends about your big decision. ✔ Discuss with your groom/bride what kind of a ceremony you want and how many people you would want to see as guests. ✔ Select the time of year and date for your wedding. Every season is beautiful in its own way and has its advantages for celebrating a wedding. When you set the date, you may want to inform your family and close friends right away so they can plan ahead as well. 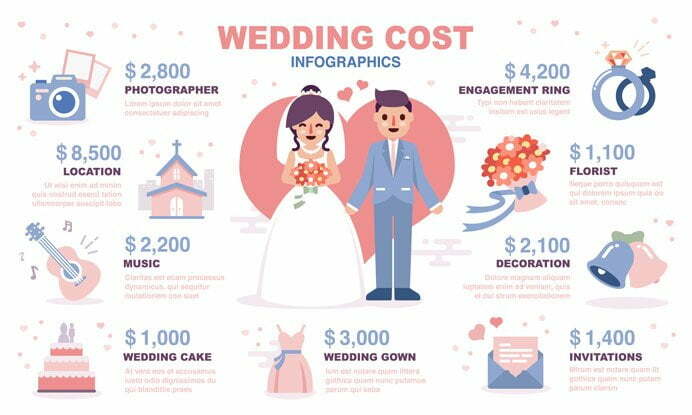 Decide how much you are ready to spend on your wedding. Put together an approximate list of expenses you may incur for wedding services and other purchases. 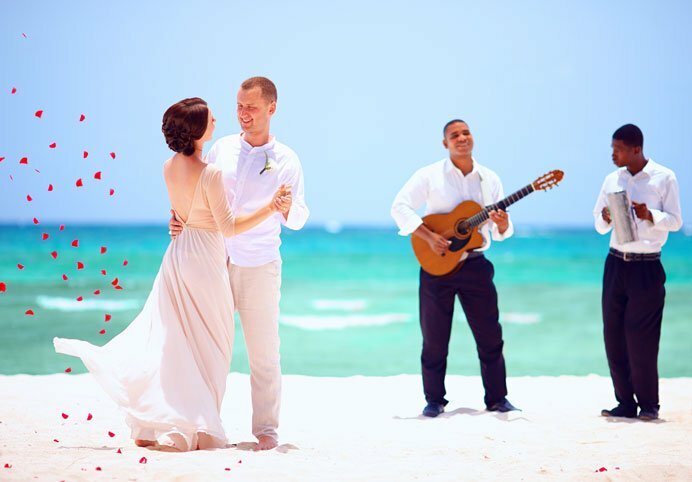 Imagine how lucky the brides and grooms in Mexico are: they don’t have to stress about their wedding at all. The planning is done by their God parents, who take care of all organizational details and carry the financial burden as well. Isn’t that great? ✔ Start planning your guest list. Draw up two lists. 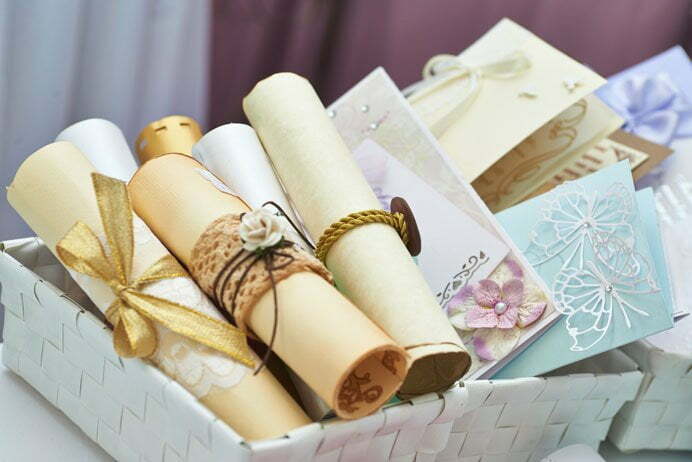 The first one should contain your most important guests, your family and closest friends, without whom you simply can’t imagine your wedding day. The second list could contain people whom you would like to invite, but don’t really have to. Next time you feel you’ve got it hard, think about families in Vietnam where wedding planning is even more complicated. The guest list there consists of 2 parts by default, as there is usually two wedding receptions held simultaneously in different locations. One party is held by the groom’s parents for their relatives and the groom’s friends. The other is held by the bride’s parents for their side of the family. Guests have a tough choice to make. ✔ Consider getting wedding insurance. 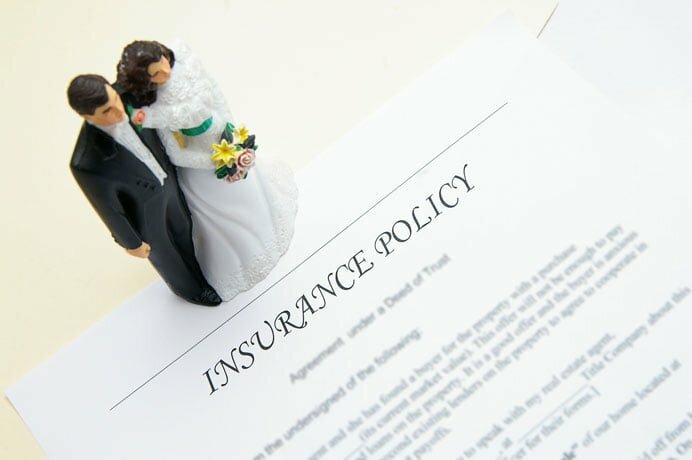 By purchasing a wedding insurance plan, you will have protection against losses you may incur if you have to postpone or cancel your wedding, as well as expenses associated with damaged formalwear, lost wedding rings, the bride’s or groom’s illness, vendor no-shows, natural disasters or bad weather and so on. Here is a story of a mishap that happened at my friends’ wedding. They were expecting a musician to show up at the ceremony location, but the guy never arrived. Turned out he had gotten into a car accident on the way there. A deer had decided to cross the road in front of his car. The musician didn’t get hurt too bad, but my friends still had to frantically look for a replacement. Their insurance company kicked in and found a decent alternative for them, which didn’t cost them anything extra. No one even noticed the mishap. Everything was handled quickly and efficiently. ✔ Decide on your wedding style. The ceremony style will depend on the number of invitees, your budget, your tastes and preferences. Hear your friends out if they have ideas for your wedding ceremony style and use their help implementing it. ✔ Envision the bride’s look, select a wedding gown, formalwear for the groom and accessories. When you decide what style of wedding you want to have, it’s time to pick formalwear for the bride and groom. Browse through wedding catalogs, go to wedding shows, take note of what you like and want. After that, it’s time to visit a bridal salon. We will be sharing great tips for picking the perfect wedding gown in future articles. Stay tuned! ✔ If you haven’t yet, take up healthy eating and exercise, so you will be in great shape for your big day. Unless you are a bride in Nigeria. Nigerian girls don’t have to watch their weight before the wedding. Quite the opposite: the bride is locked up in a special room several months before the wedding, where she should limit movement. Her family members bring her exceptionally fattening foods. She eats buckets of porridge and chases it down with gallons of high-fat camel milk. 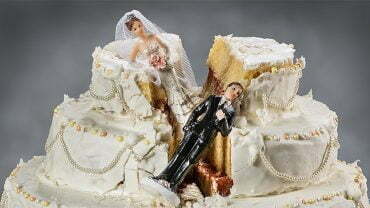 The bride must gain a lot of weight, as it is believed that skinny girls cannot be happy in marriage. You should send invitations to everyone on your guest list and your guests should have plenty of time to respond. ✔ Decide who will be your maid of honor and best man. Determine bridesmaids and groomsmen too. 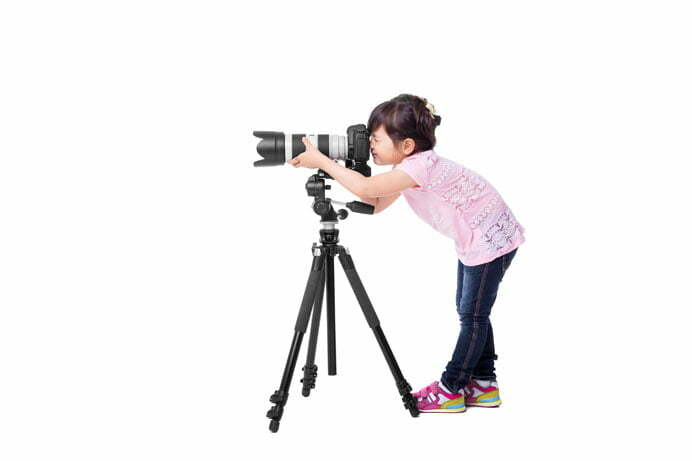 Look through several portfolios and ask you friends or other people for recommendations. 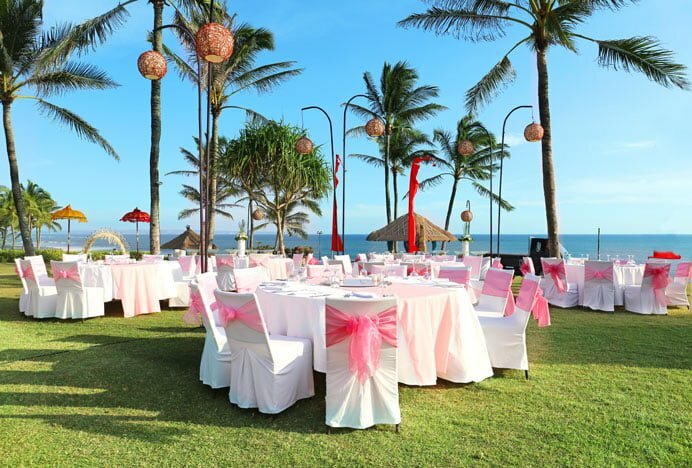 ✔ Select a venue for your wedding ceremony and reception, discuss menu with the catering service. The place to have your reception at should be beautiful, romantic and convenient. If you are having your ceremony and reception at the same place, be sure to allocate areas for the ceremony itself, the dinner, the entertainment and dance part and an area where your quests could take a break and rest. 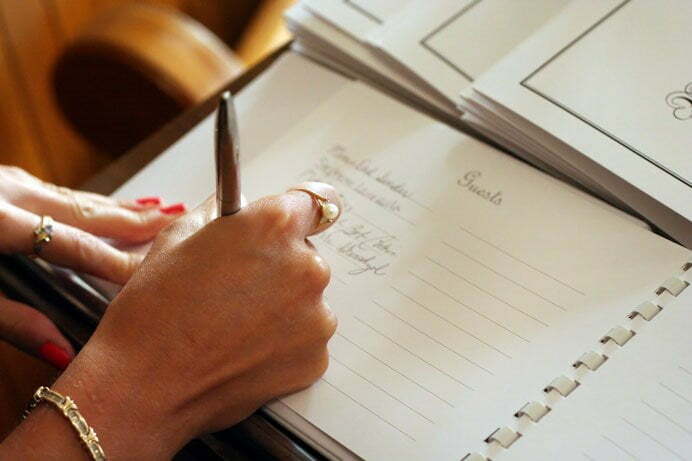 ✔ Draw up a preliminary guest list. ✔ Plan overnight accommodations for your out-of-town guests. If needed, book rooms at several hotels located near your reception venue. If you’d like, book a special newlyweds suite for your wedding night. ✔ Time to think of your honeymoon. 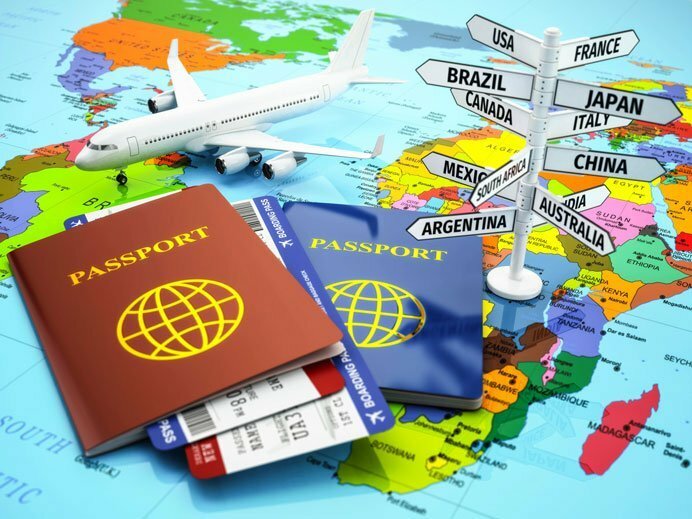 Check to make sure your passports are not expiring anytime soon and get any other paperwork required for travel ready. Read on how to choose your best honeymoon destination in upcoming posts. 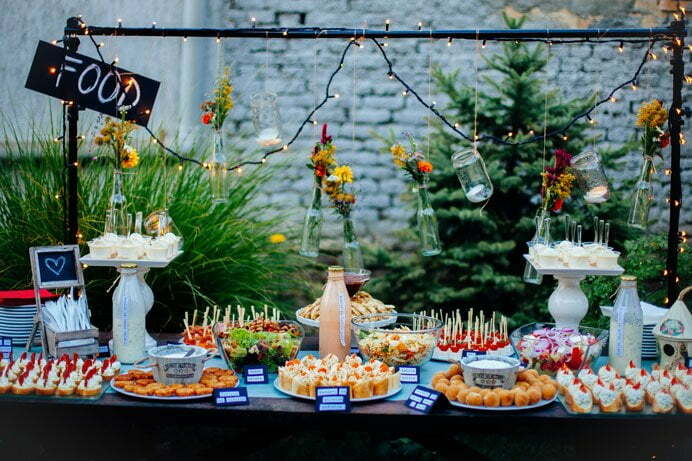 ✔ Have an engagement party, if you like. But keep in mind that any guests you invite to this party will expect an invitation to your wedding too. 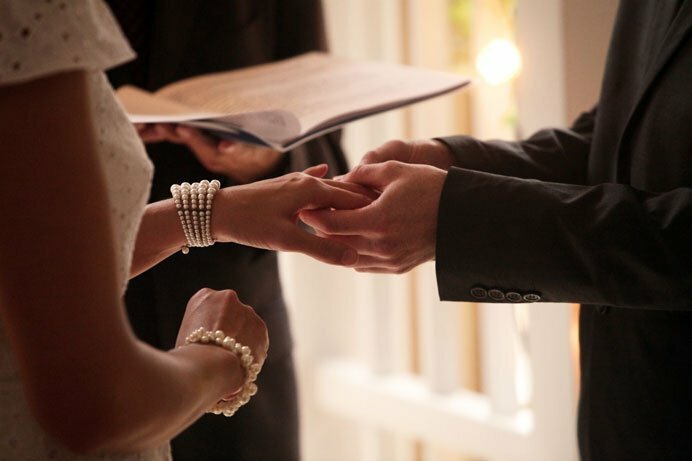 ✔ Choose a Wedding Officiant. ✔ Take care of wedding transportation arrangements. Think of how you are going to get your guests to and from your ceremony and reception locations. Select and order special transport for the wedding party. Historically, wedding rings have always had a special meaning. Back in the old days the bride’s feet used to be tied with straw cuffs to prevent her running away to another man. In the Roman Empire grooms would have their brides wear a metal ring, which later was replaced with a ring made of gold. Gold was used to show off the man’s strength and power. 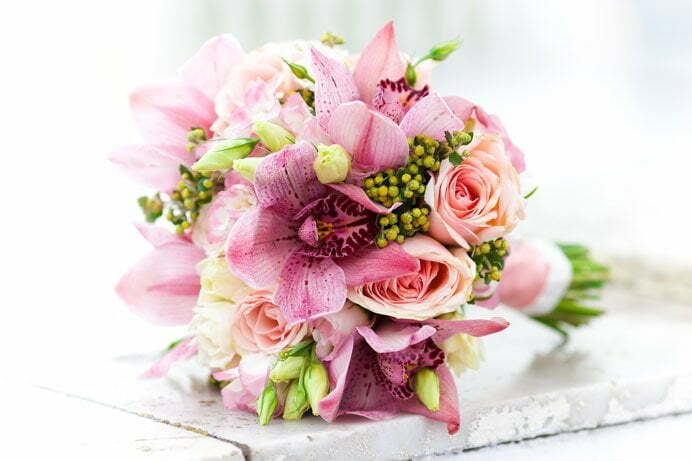 ✔ Work on the bridal bouquet design to have it match your wedding formalwear style. 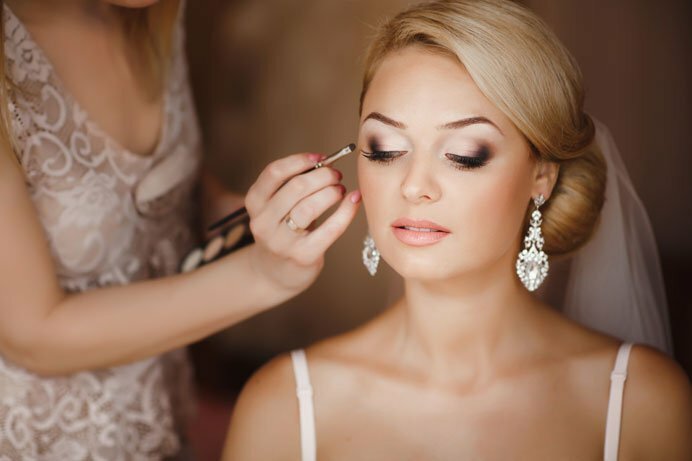 ✔ Design the bride’s overall look, consult with a stylist, order services of a hair stylist and makeup artist. ✔ Prepare your wedding vows. You should take this task very seriously and give it a lot of thought. The beginning can be traditional and go like this: “I, Kevin, take you, Olivia, to be my wife and promise to love you till death do us part, to be with you in hard times and good times…” and so on. Feeling tired? It’s no wonder, since the amount of work you have done so far is really huge. There is just a little more left. ✔ Choose a wedding cake. See 7 myths about wedding cakes HERE. 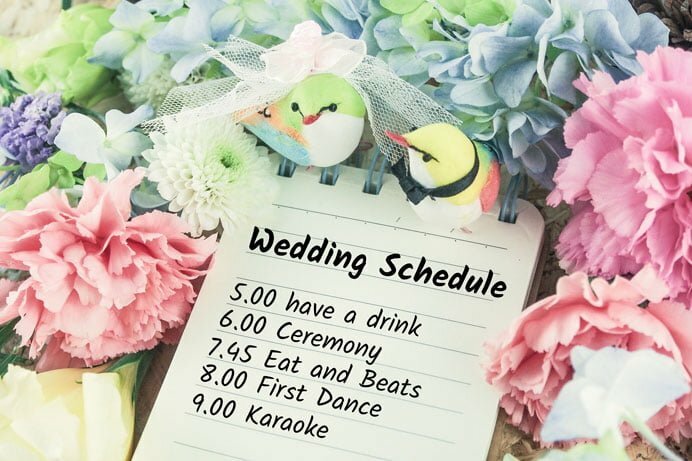 ✔ Put together your wedding day plan. For the ceremony, dancing and to play in the background. 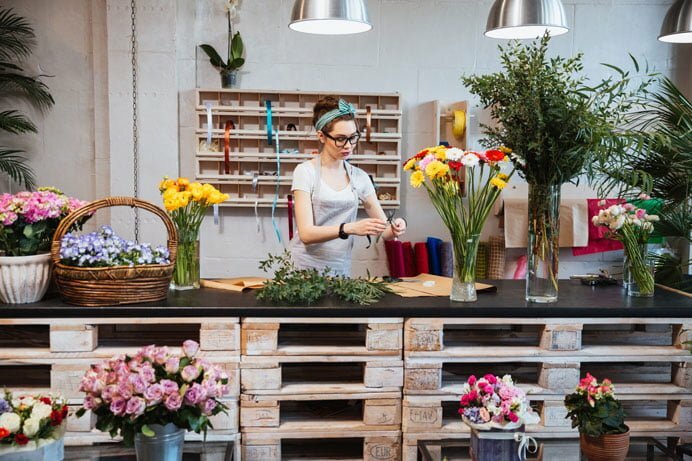 ✔ Discuss location décor with the florist, order the bridal bouquet and buttonhole flowers. 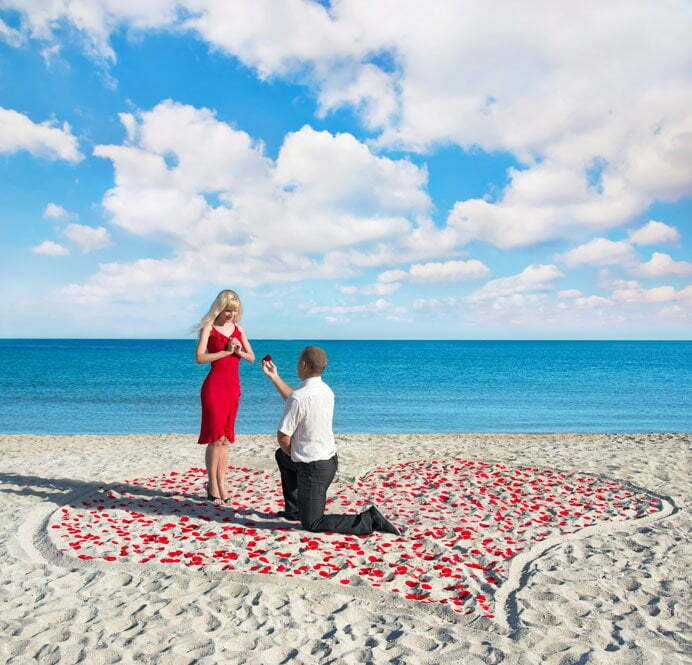 ✔ Get documents ready for your honeymoon trip, purchase tickets and book hotels. 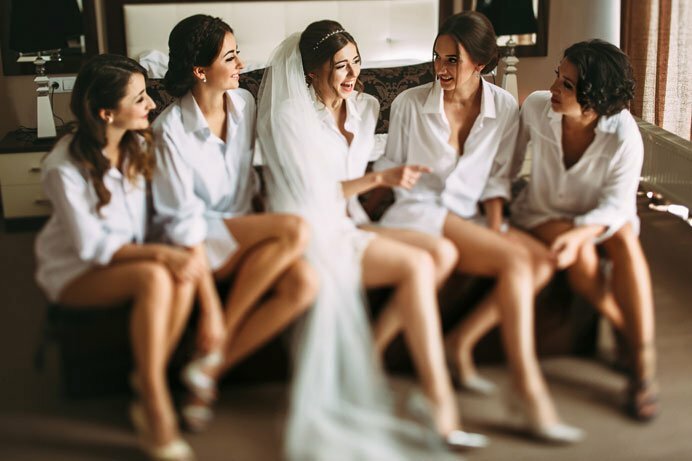 ✔ You may now relax a bit and enjoy your bridal shower or bachelor party. An interesting reference to a Bridal Shower is found in ancient Scottish traditions. The bride would literally be showered, but with a foul mix of eggs, sour milk, pasta, sauces, garbage and other waste. It was thought that if the bride could stand this kind of shower, she would be able to stay tough through any hard times in her married life. Of course this tradition has nothing to do with modern day’s bridal shower parties that brides get to enjoy. ✔ Confirm the final menu. ✔ Finalize your guest list. 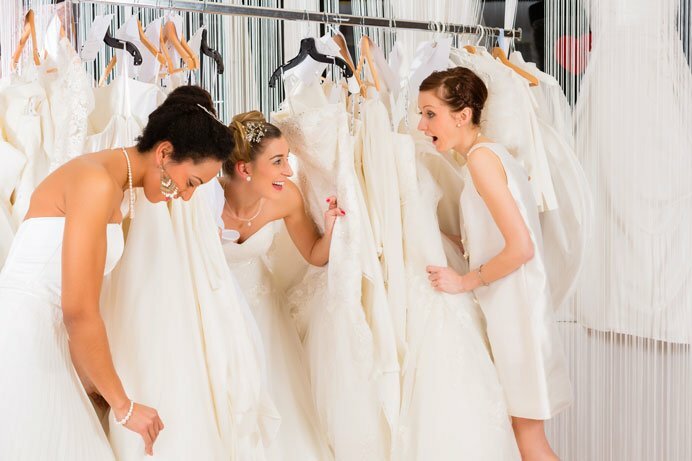 ✔ Go over their roles and assignments with your bridesmaids, help choose their dresses. 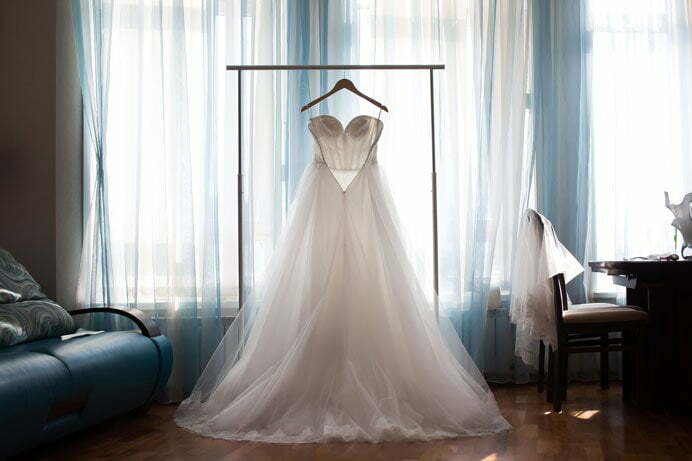 ✔ Have a wedding gown fitting, make final adjustments, if needed. ✔ If you want to, this is a good time to start going to a tanning studio. 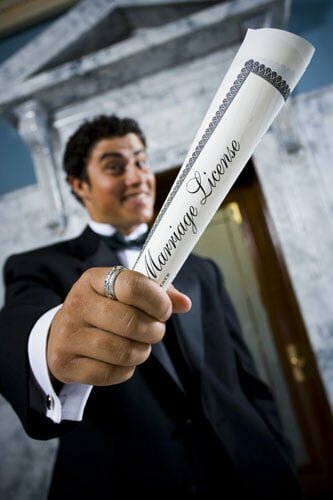 ✔ Get together all required documents for your marriage license. Apply for your license at the city hall. 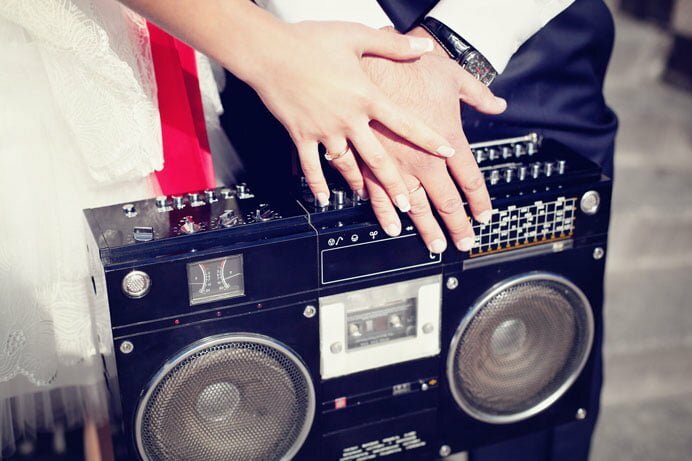 ✔ Think about your first wedding dance. Take some dance lessons from an instructor if needed. 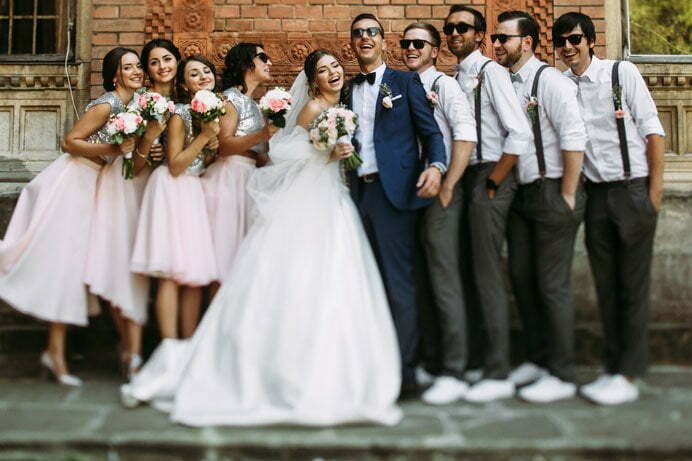 ✔ Make sure that both the bride’s and the groom’s formalwear is all ready and fits perfectly. ✔ Confirm your order for photographer, makeup artist, hair stylist, musicians and driver services. 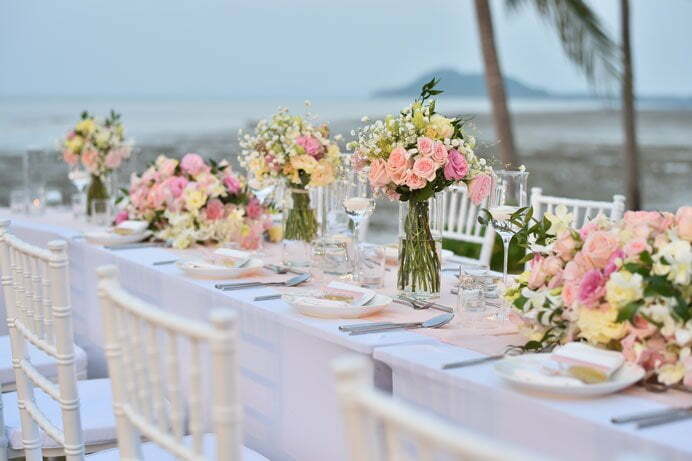 ✔ Contact guests who did not RSVP to your invitations and find out if they plan to come. 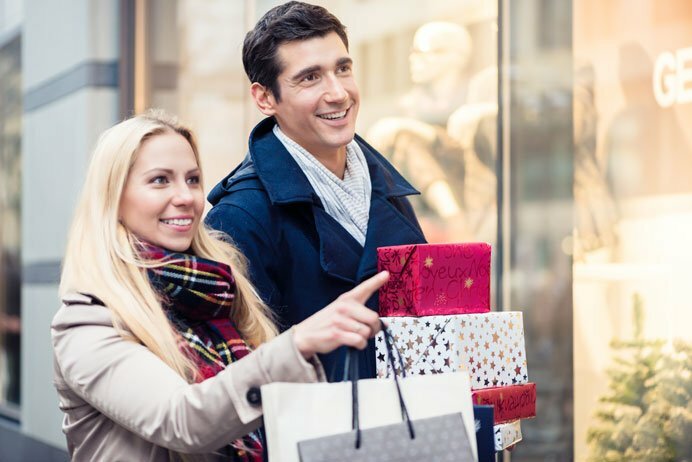 ✔ Buy presents for the bride’s and groom’s parents. Things to do 1 week before the wedding. ✔ The bride’s and groom’s formalwear should be ready. Have one last dress fitting with any accessories you plan to wear and make sure everything fits perfectly. and a silver sixpence in her shoe». Something old may be a family heirloom, such as your mom’s wedding dress, grandma’s brooch or another piece of jewelry. The old item signifies connection with your ancestors. The new item symbolizes for a girl the start of a new life with her husband. Something borrowed can be an item borrowed from a happily married friend, which is supposed to bring good luck and happiness in married life. Something blue is symbolic of the bride’s purity, tenderness and fidelity. It can be a blue garter or a blue bow on your wedding dress. A blue item can add a bright accent to the bride’s look. ✔ The guest list must be finalized and confirmed by now. 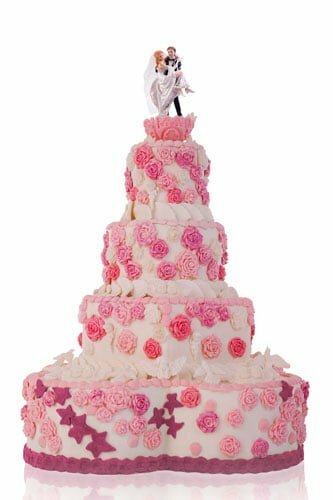 Bakery: Confirm your wedding cake order, verify the delivery time and location. Photographer: Confirm the time and location for your wedding photoshoot. ✔ Make a list of things you will need on your wedding day. ✔ Confirm the guest seating plan. ✔ Pick up the wedding cake or confirm its delivery. 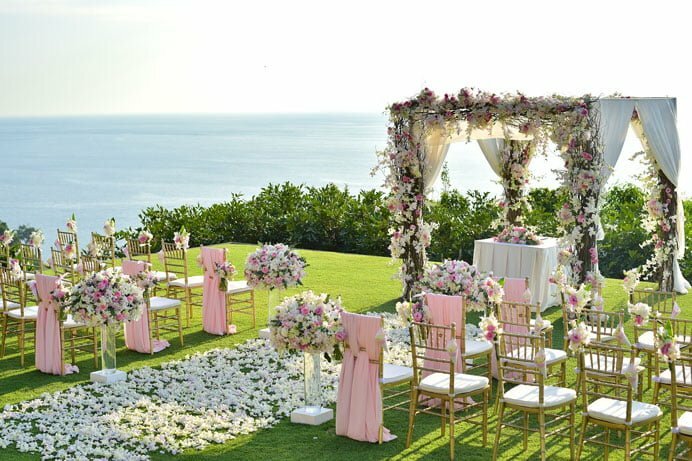 ✔ Time to start decorating the location for your ceremony and reception. ✔ You need to have a good sleep tonight! Your faces must shine with smiles and happiness on your big day and not look tired. The big day is finally here! You have worked hard for months before your wedding. Today you shouldn’t worry about anything or make any calls. Just trust the helpers and experts you have put so much effort into selecting. They are real professionals. Relax! Today is going to go as planned. Enjoy your beautiful day – the day of YOUR WEDDING. Treasure every unforgettable moment and enjoy sharing this day with each other. I’m sure you had a marvelous time together on your honeymoon trip. There are a few things you need to remember to do upon your return before you can fully relax and start enjoying your married life. ✔ Write and mail thank-you cards. ✔ Sort your wedding gifts. ✔ Return any wedding items you rented. ✔ Contact your photographer and get your wedding album and video. Now that you are married it is time to enjoy your marriage bliss. I’d like to wish you many years of love and happiness in your married life! Step-by-step Video Guide. Wedding Planning Checklist. Happy Family Today Copyright © 2019.